This trail is classical Harriman. It's in a remote part of the park, and no man-made structures or inhabited areas are visible from the views. 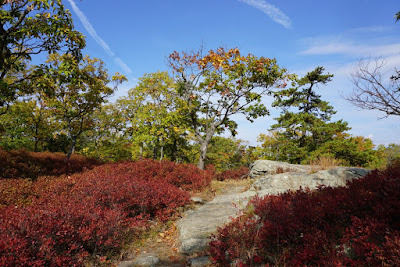 This area is also very pretty in the fall. 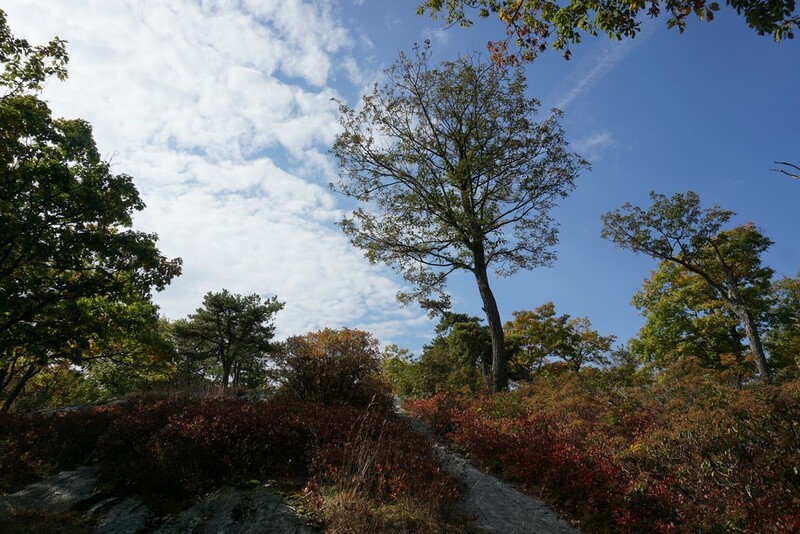 The weather had been colder than usual the past several days, but this day there was a big warm up. I started the hike in the low 40's, and it got to the 60's by the time I was done. 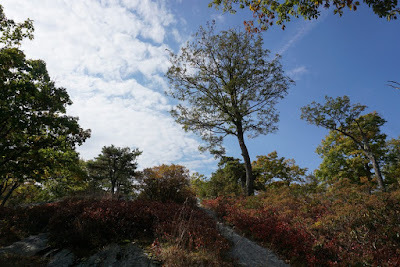 Unfortunately the morning started off rather cloudy, which is not good for foliage photos, and it wasn't until I was nearly done that the sun came out with a bright blue sky. I parked at the Victory Trail trailhead roadside parking, before the bend on Lake Kanawauke Rd. I took the Victory Trail briefly to Ramapo Dunderberg Trail, which I made a right on and slowly climbed up Parker Cabin Mountain. 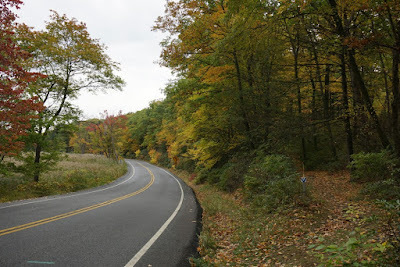 This is a very gradual climb. 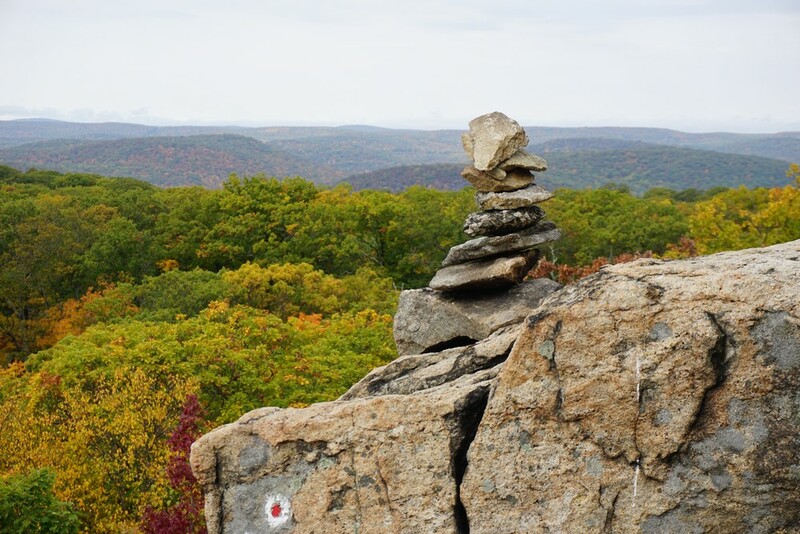 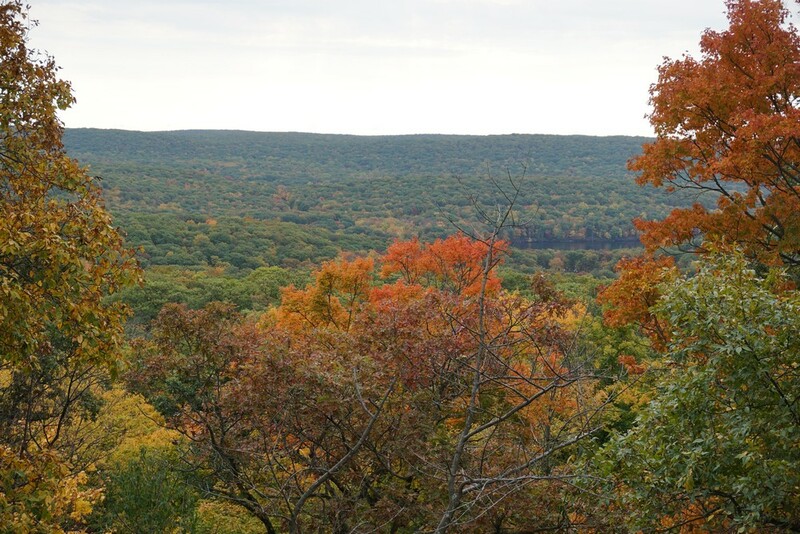 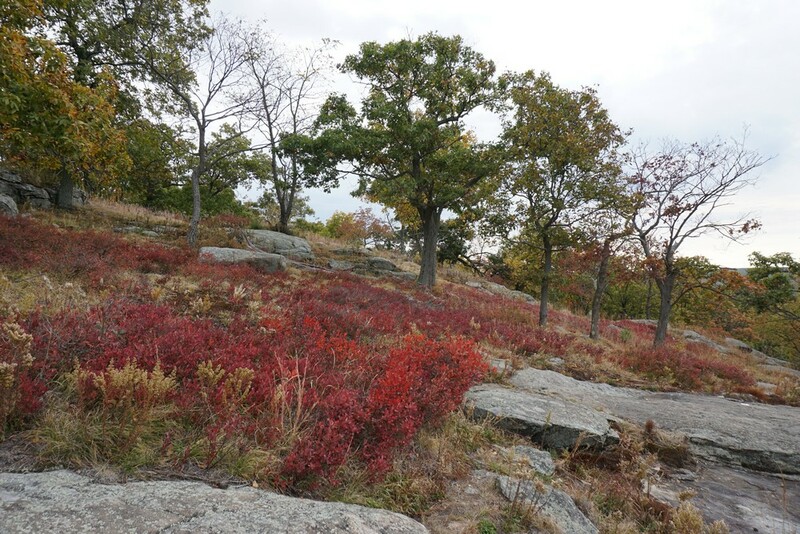 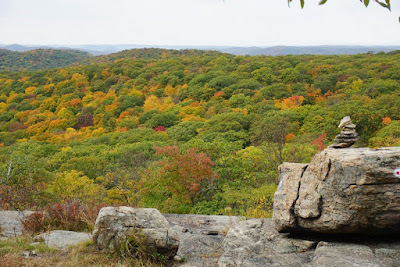 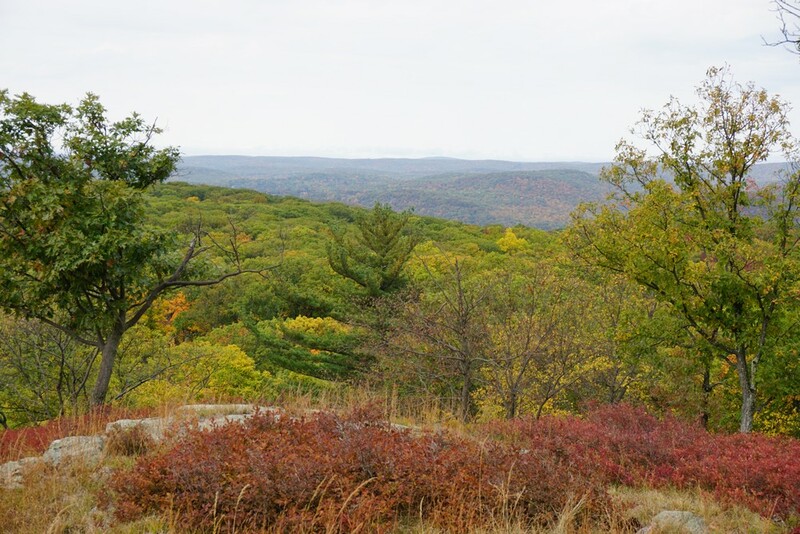 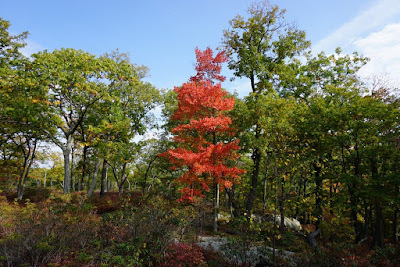 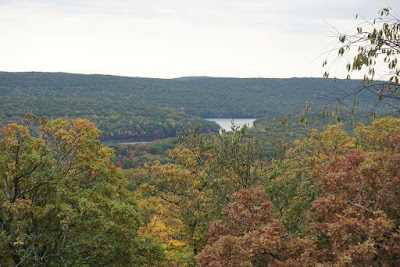 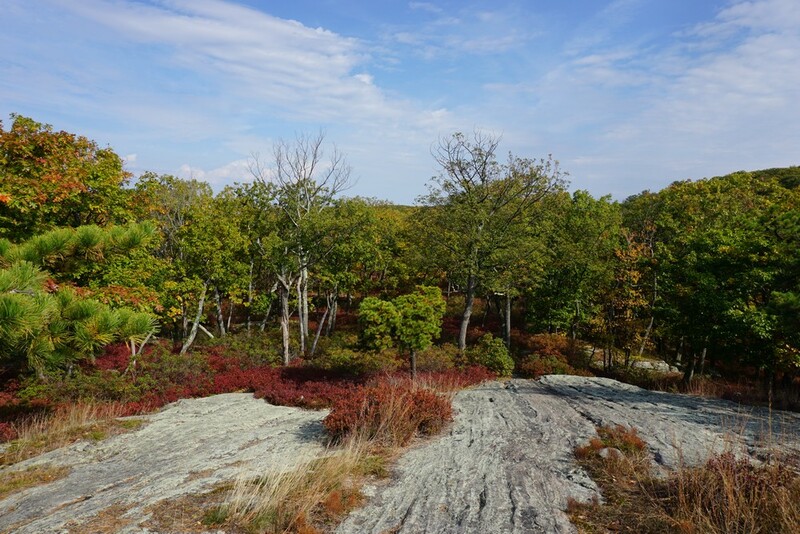 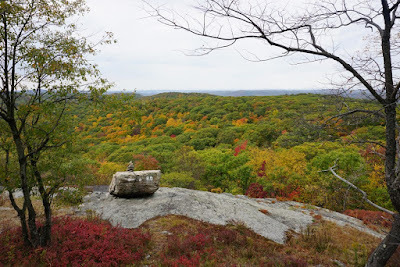 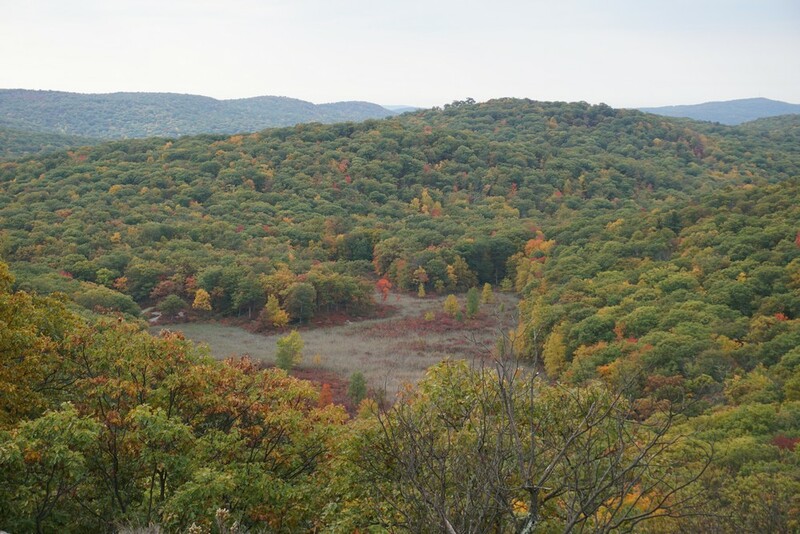 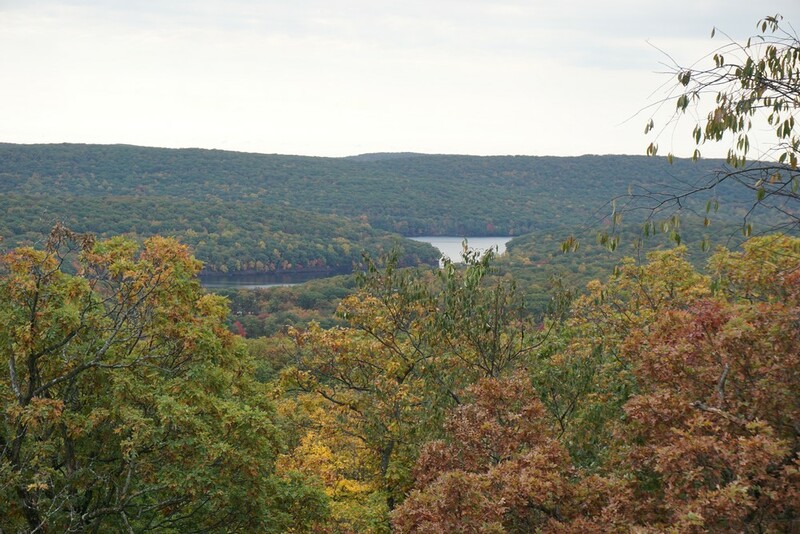 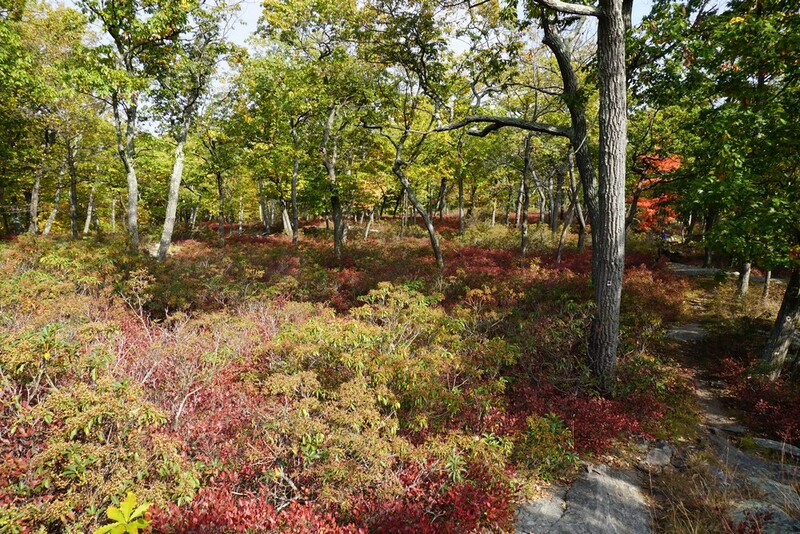 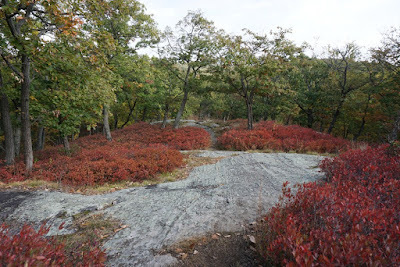 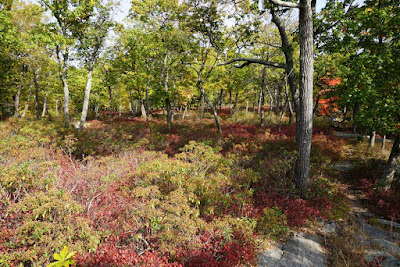 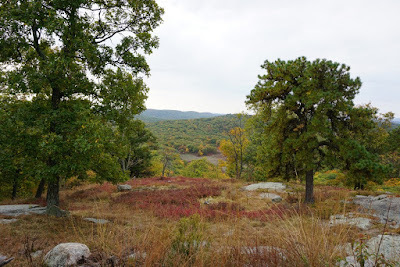 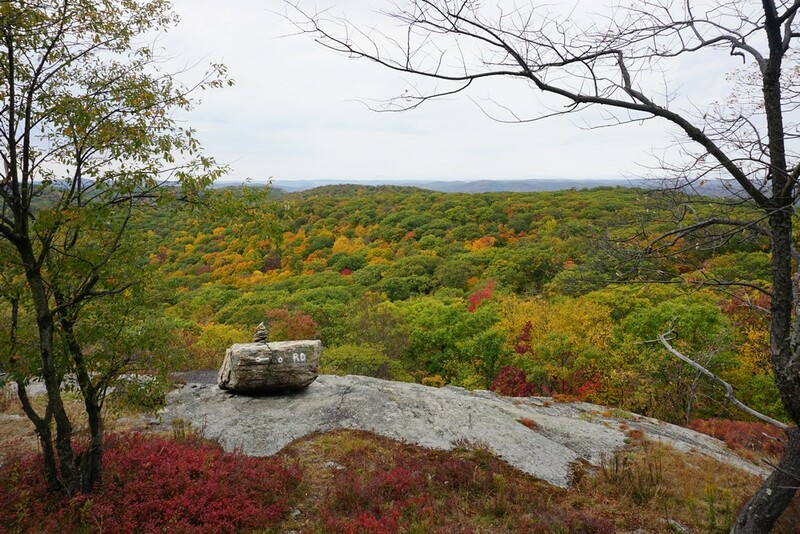 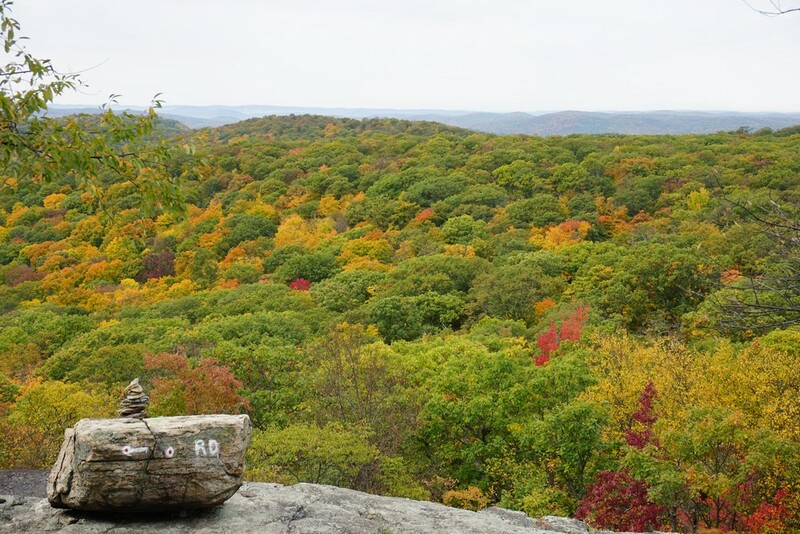 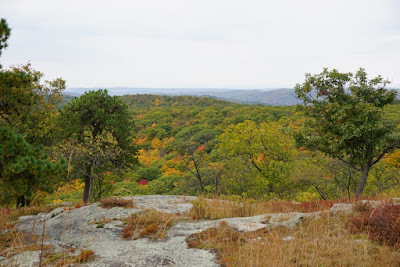 At the top of the mountain, at the intersection with the Triangle Trail, there is an excellent view facing east, and then continuing further along the Ramapo-Dunderberg Trail is an outstanding view facing south, one of the best views in all of Harriman in my opinion. After the view I climbed down the steep part of the mountain continuing along the Ramapo-Dunderberg Trail, until the White Bar Trail, which I took north, briefly, until the Triangle Trail. 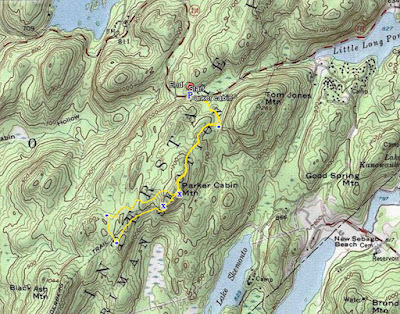 I took the Triangle Trail north as well climbing back up to the Parker Cabin Summit, and then headed back down to the parking area along the same route that I came.